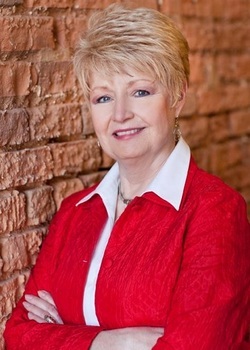 Nancy Conrad Ball, MEd, LPC, NCC has practiced as a Licensed Professional Counselor for 24 years. I have come to believe in the principle of health care which takes into consideration the whole person and incorporates all aspects that influence us, including the connection between body, mind, spirit, and lifestyle. This type of therapeutic relationship recognizes the partnership between you and your counselor in the healing process. Services include individual, couples, and family counseling for children, adolescents and adults. My therapeutic approach reflects eclectic influences derived from my training in Gottman Method Couples Therapy, Emotionally Focused Therapy (EFT), family systems therapy, cognitive-behavioral therapy (CBT), mindfulness based therapy, and energy psychology. I received a Master of Education degree in Counseling from the University of North Carolina at Greensboro in 1992. I am a Licensed Professional Counselor (LPC# 769) and a National Certified Counselor (NCC #279750). I was the recipient of the UNCG Department of Counseling and Development Distinguished Practitioner award and the Chi Sigma Iota Counseling Academic and Professional Honor Society Outstanding Practitioner award. "If we all did the things we were capable of, we would astound ourselves"